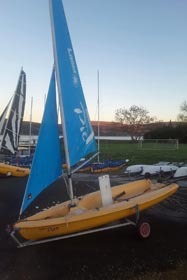 Cumbrae is running an RYA Day Skipper Shorebased course at Clyde Cruising Clubs Bardowie Loch venue. The course is being run over a series of dates; Sun 12th Feb, Sun 19th Feb, Sat 25th Feb and the weekend Saturday 11th and Sunday 12th March. The cost of the course is £240 This includes the course fee and the training pack complete with charts and exercises as well as the accompanying training almanac. candidates will need to provide their own packed lunch. To book a place on this course or for more information please call the Cumbrae centre on 01475 530 757. I got into windsurfing at age 11, when my mum enrolled me in a taster course activity day at our local lake, James Hamilton Heritage Park. On this day, I tried sailing, windsurfing and canoeing but of course fell in love with windsurfing so persuaded my parents to do the Start windsurfing course and from then on I became addicted and went along to the local Team 15 club where I improved and learnt in a fun environment. What was your experience of sport when you were younger? What were the challenges you faced? Sport has always been a big part of my live. From very young I was part of swimming club, athletic club, as well as dancing. All of which I got to a reasonable standard with. However, being an outdoors type of girl and loving to be near the sea I took every opportunity to jump to the sport of windsurfing. 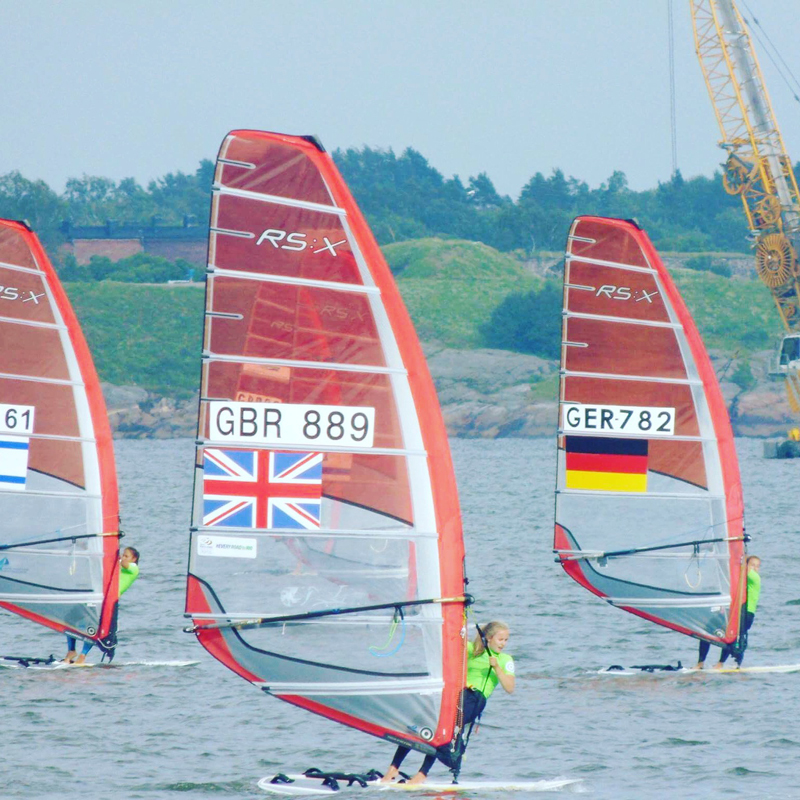 Windsurfing is sometimes seen as a mainly male dominated sport and it has been great to see more girls within the sport. What does it mean to you to have become the first female Scottish Windsurf Champion? It’s so amazing and such an excellent achievement. The weekend consisted of hard conditions and competitors who were on bigger sails and boards than me, making it a challenge to try and beat them.However, that is part of the fun and winning this event has gave me the encouragement and determination to go further and improve my skills. What transferable skills have you gained, both from competitive sport and being an instructor? As an Ex Scottish Squad member for several years and being in the British youth squad, I learnt a lot and had the chance to make friends from all over the world. This understanding of how people react and respond has in turn allowed for me to adapt and encourage people intowindsurfing, as an Instructor. It has taught me to participate and work as a team as well as developing leadership skills. How do you balance training and competing with your studies? To make sure that my assignments are performed to the best of my ability, I start assignments as soon as they are given, allowing me to spread work over a couple of weeks, rather than crushing it into the last few days before it is due. I have found this is the best way to balance my training and competing with university work. Why do you think it’s important for girls to be involved in sport and physical activity? I think it’s important because it helps lead to happier and healthier lifestyle and you can make lots of new friends and learn new skills. Also, physical activity is a good stress buster. Thanks to windsurfing I have also travelled worldwide seeing a variety of places, such as San Francisco, Helsinki and Cesme for example. What do you think stops some girls from getting active, and what do you think might encourage them? I feel that some feel self-conscious about what other think and I believe no matter what shape, size, appearance and goals you have. You should do everything possible to achieve it, no matter what other people think. What advice would you have for girls considering taking up a new sport such as windsurfing? 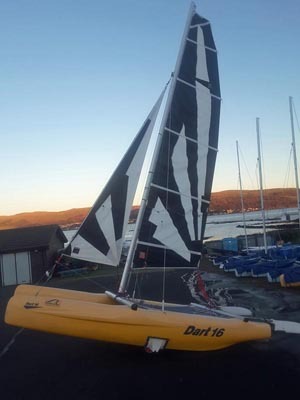 Find a local club or enrol in a course in the many activities offered at the National Centre Cumbrae…but most of all go have fun, go out with others and don’t be afraid to ask and talk to other budding windsurfers. Everyone is friendly and helpful. As a result of a challenging financial environment, the board of directors of The Scottish Sailing Institute (SSI) has agreed to merge the SSI with the sportscotland National Centre Cumbrae in order to sustain a Scotland wide event resource for the future. The new arrangements will ensure the SSI continues to work closely with RYA Scotland, clubs and classes to provide world class event support through out Scotland. 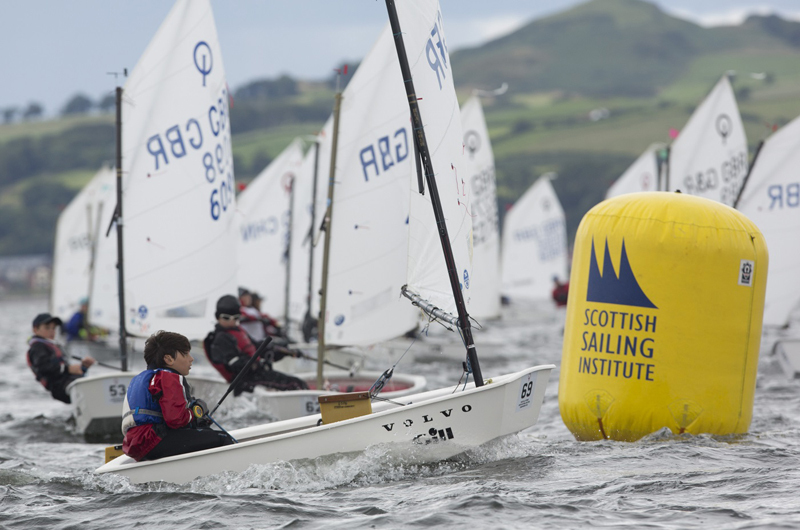 Utilising the marketing support available through Inverclyde and RYA Scotland, the SSI will continue to seek to bring sailing events to Scotland making the most of Scotland’s naturally varied locations and the world class championship facilities in Largs. 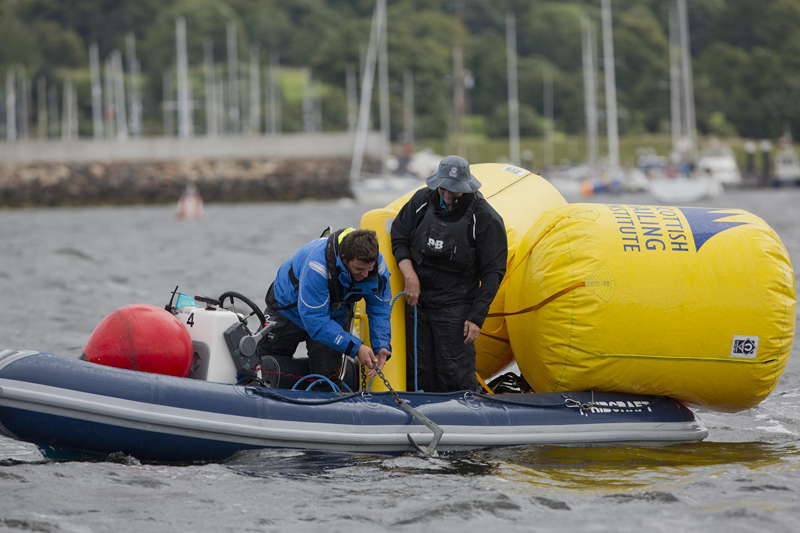 Continued support will include race management training, event consultancy and physical resources to enable clubs all across Scotland to benefit from the world class water sports event management experience held within the SSI. Coordination of race management training will be undertaken by RYA Scotland and will enable more courses to be delivered across Scotland. The physical resources will be accommodated by sportscotland in its facilities at Cumbrae & Inverclyde, in Largs and will be available for hire in 2017. Further details on how to access the support and resources available will be found on the Cumbrae Website in 2017. The SSI Board is confident that these changes will secure the skills, experience and resources of the SSI for the future and will ensure Scotland continues to attract events to our shores. We’re delighted that the dedication and effort put in by Cumbrae’s Tom Thurlow is being recognised at the upcoming RYAs Annual Awards Dinner in January. Tom has been shortlisted for the ‘Official of the Year’ Award. A ‘Cumbrae Christmas’: Gift Vouchers Now on Sale! Thinking of purchasing something a little bit different this Christmas? Why not give the gift of a memorable experience at Cumbrae? OR, choose an amount to purchase and let your receipient decide if they want to enjoy some sailing, paddlesports, windsurfing or powerboating! It’s a gift that offers great flexibility so just call the centre on 01475 530 757 or email cumbraecentre@sportscotland.org.uk if you’d like to make a purchase. Know someone who’d like a Dart, Pico or Sea Kayak for Christmas? Cumbrae could have your Christmas Gift sorted! Not the original sail. They have been replaced within its lifetime. 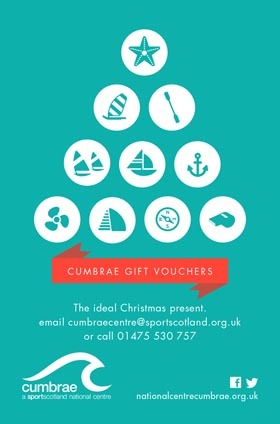 Or, have you considered Cumbrae Gift Vouchers this Christmas? Following our initial blog about this back in August, we just wanted to put this up again, as a reminder, as applications close on 1st Dec 2016. Cumbrae is recruiting three people to join the 19 month The Instructor Development Scheme (IDS) starting in April 2017. The IDS programme aims to target people who are interested in a career in the outdoors and particular within the watersports sector. Candidates may have reached a stage at which they are ready to move onto the middle tiers of instructor qualifications. Those selected may possibly have gained some work experience at an outdoor centre and hold a couple of basic National Governing Body (NGB) awards such as a paddlesports, dinghy, powerboating, windsurfing and cruising qualifications,. This level of experience and interest is desirable as the awards are pre requirements for the middle tier of instructor awards in all these disciplines. Opportunities are also provided to gain experience within the RYA cruising scheme. The centre is a busy place and a great place to learn and develop. At the end of the training period, trainees will be well qualified. The scheme will run from 1st April 2017 until 31st October 2018. You must be available to start from 1st April 2017. If you are not available for these dates due to other commitments, college courses, etc. please do not apply this year. The next scheme will run from 1st April 2018 until 31st October 2019.
Who Should Apply? Applicants must be over 18 years of age. We are looking for responsible individuals with a variety of relevant outdoor interests who will work together during the height of the season as part of a team of six. We will therefore select people based on a balanced team structure of complementary skills and character. In your free time you will be expected to gain experience in order to complete a broad range of NGB training courses in paddlesports, powerboating, sailing, windsurfing and yachting.. The ability to be self-motivated in order to gain experience is an important selection criteria. From the applications received we will interview 12 candidates, over a 2 day assessment centre. We’ll be recruiting for 3 posts. The closing date for completed applications is 1st December 2016. For an application form please click here .